In certain circumstances, you may be able to ask the court to remove a certain record from your criminal history. Expungement, also known as expunction, is the process of destroying a record. It is different than having a record sealed, which means it still exists, it is just not available to the public. Obtaining an expunction is like the incident never happened. Our experienced legal team at Salazar & Kelly Law Group, P.A. can help. We are here to review your situation and advise you on whether you are eligible for expunction or to have your records sealed. 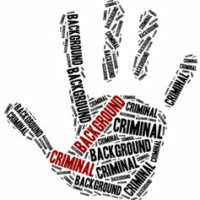 There are numerous types of expungement, yet it is still a limited tool. For instance, convictions cannot be expunged. However, an arrest, charges that were dropped or dismissed, or a case that did not lead to a conviction may be sealed or expunged at some point in time. Your best option is to talk with a lawyer about your eligibility. If you are interested in expunging a juvenile record, speak with an attorney about the juvenile options. Certain records are automatically expunged when you turn 21 or 26 years old, though you may be able to ask for an early expunction. If you are interested in cleaning your record of an arrest, charge, or other issue that took place when you were an adult, then you will need to speak with an experienced criminal defense lawyer about administrative, court ordered, or another type of expungement. Eligibility for expungement depends on a number of factors, including the type of expungement you want to pursue. In general, you cannot expunge a criminal conviction. Expunction may be available for an arrest that did not lead to charges and charges that were dropped by prosecutors or dismissed by court. If your situation led to a trial and you were acquitted, you may first need to have the records sealed. Once the records have been sealed for 10 years and in that time, you have not been charged or convicted of another crime, then you may be able to seek expungement. However, records of certain violent crimes cannot ever be sealed or expunged. Once you have spoken with a lawyer and they believe you are eligible for sealing your record or expungement, then the next step is to apply for a Certificate of Eligibility with the Florida Department of Law Enforcement (FDLE). If you obtain this certificate, it means that you can move forward with petitioning the court to seal or expunge your record. The certificate itself does not change anything about your record. It also does not guarantee that the court will approve your petition. If you have an arrest or charges in your past that never led to a criminal conviction and you want to clean up your criminal record, contact us at the Salazar & Kelly Law Group, P.A. in Kissimmee. We will review your situation and advise you on whether you may be able to have a record sealed or expunged.